Teachers typically have two scheduled consecutive days off per week. In addition to their scheduled days off, teachers receive Japanese national holidays, three company designated one-week vacation periods spread throughout the year, and five personal days per year. Three times throughout the year, AEON Schools are closed for one week to give staff and students time to relax and enjoy all that Japan has to offer. A lot of teachers choose to spend their vacation periods traveling within Japan, as there are so many wonderful places to visit, while others take the opportunity to travel to neighboring Asian countries such as Korea, China and Thailand. The week-long vacations also give teachers enough time to go back home to visit family and friends. The three, one-week vacation periods are Golden Week in the spring, Obon in the summer and the winter New Year’s Holiday. Golden Week encompasses four Japanese national holidays. The week generally begins on April 29th, Showa Day, which celebrates the birthday of the Showa Emperor and ends after Children’s Day on May 5th. By this time of year, the weather is warming up and outdoor activities are popular. Teachers enjoy having barbecues, hiking and camping in majestic mountains or traveling to historic sites throughout the country. Obon is observed around the middle of August. People return to their hometowns during Obon and the holiday period provides a chance for families to reunite and spend time together. Many summer festivals are held during Obon, often coinciding with spectacular fireworks displays. The Bon Odori is a popular summer dance event where participants dance all night long to welcome the spirits of their ancestors back to earth. 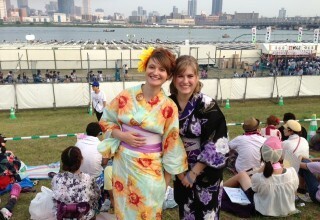 During the festivals, many AEON teachers dress in a yukata, or summer kimono, and dance alongside the locals. The Obon vacation is also a great time to hit the beach and cool off in the waves. New Year’s in Japan has many unique customs. The vacation usually begins a day or two before New Year’s Day and extends for a few days into the next year. Before New Year’s Day, people are busily preparing for the holiday by writing greeting cards which are delivered on the 1st and preparing osechi which can be eaten over the New Year’s period. Mochi-tsuki is a fun, traditional activity of pounding cooked rice with a large wooden mallet until it can be molded into dumpling-like shapes and eaten. 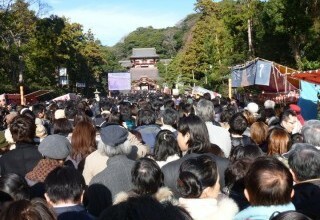 Most teachers join in the crowds that gather at major shrines for hatsumode, the first shrine visit of the year. Skiing and snowboarding are also popular activities for teachers during New Year’s Vacation. Teachers receive all Japanese national holidays that fall on their regularly scheduled work days. 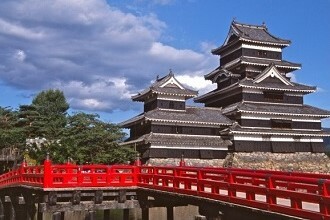 More than just time to relax, national holidays are an opportunity to get to know more about the culture and history of Japan. In addition to the Golden Week vacation, Obon vacation, New Year’s vacation and national holidays, teachers also receive 5 personal days per year.